Well...we finally got this robot working. 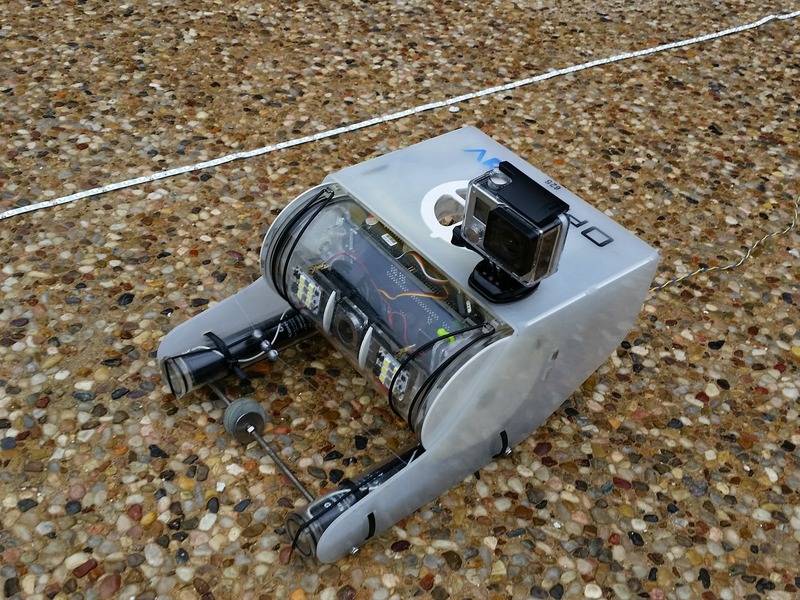 We navigated a little homebrew obstacle course in the pool to do some pilot testing and get a feel for how the OpenROV will handle in tight spaces. It's a little scary how tough it can be to pilot in the pool; some of that is due to the currents being pumped around, and the relative lightness of the ROV. But it's also just tougher than it looks. We bonked the GoPro on the obstacle course more than once, and sometimes even getting our bearings straight was a hassle. But we we able to fit the ROV through some tight spaces and we think we're ready to do this. Next step is to make this official with the Jacob's Well people; we are hard at work on securing a date and time to take this little guy out there and see what we can see. It's finally coming together!